Developed alongside leading doctors, our engineers have implemented key safety and comfort features to keep your little one safe and sound. Overheating has been linked to SIDS by the Journal of Pediatrics. The Baby Lounger dissipates heat better than other products that store heat, and may reach temperatures as high as 102° after 60 mins of applied direct heat source of 96°; the Smilo Lounger remains up to 15° cooler at a comfortable 87°. We have designed the Baby Lounger to maintain airflow around your baby to help keep them at a stable body temperature. Babies have difficulty self-regulating their body temperature; both hot and cold. 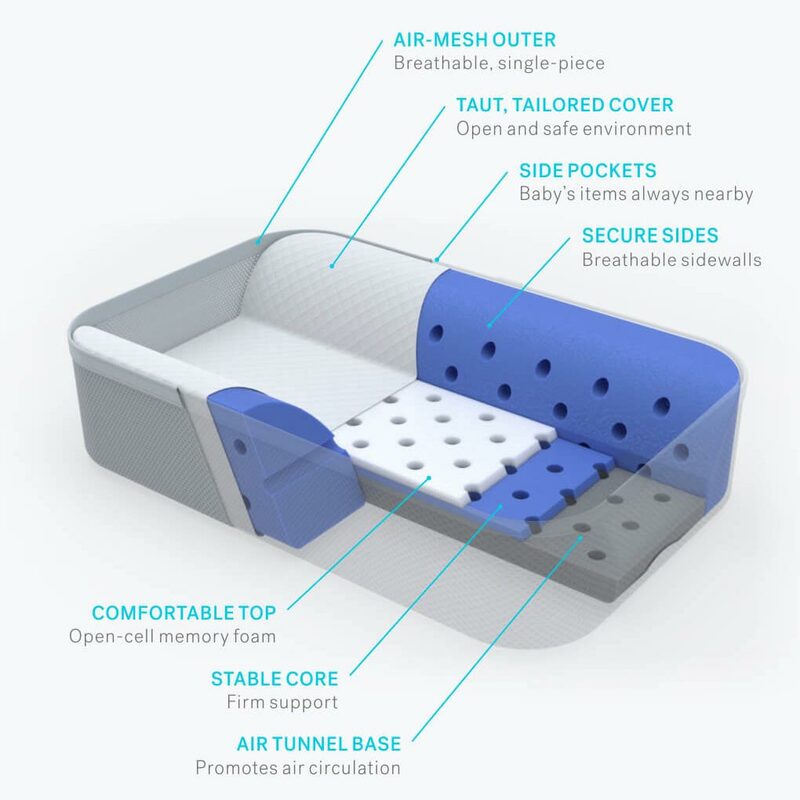 With our Air-Flow Technology, you can rest easy knowing that your little one will enjoy a temperature regulated environment that is free from suffocation and strangulation hazards. The open-cell memory foam and air tunnels work together to enable proper air-flow in and around the Baby Lounger. This means heat dissipates through the bottom of the foam surface under your baby. Allowing the heat to escape minimizes heat buildup which leads to discomfort and potentially dangerous overheating. 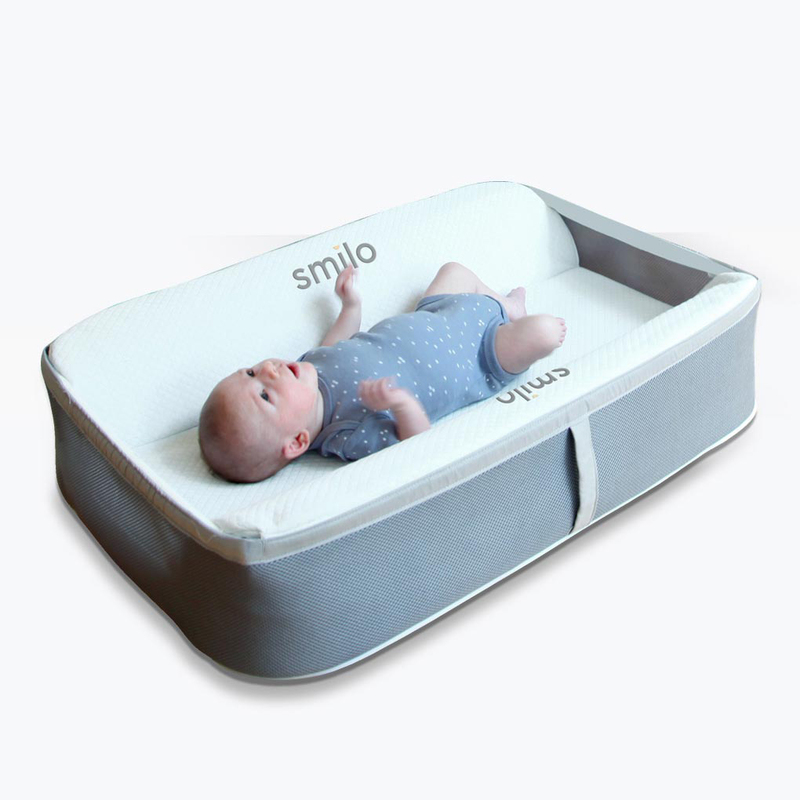 Smilo’s Baby Lounger will keep your baby comfortable and at a safer body temperature than similar products. Unlike normal memory foam, open-cell memory foam allows air to pass through its chambers instead of trapping heat. 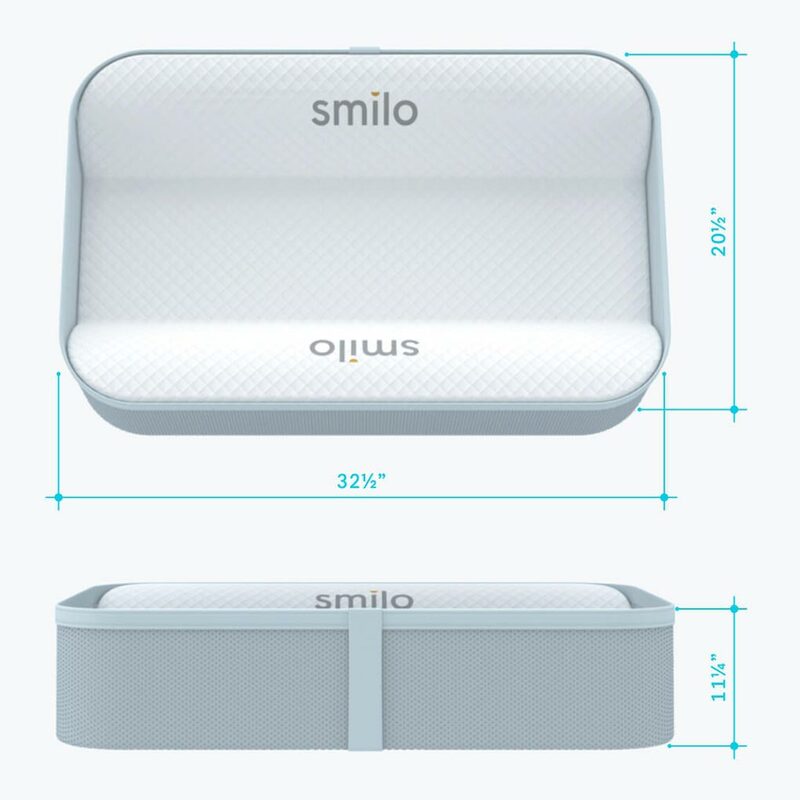 Every Smilo product is designed as part of a full suite of essentials that work together to meet your baby's every need. Relax. This is a safe space. To develop the lounger, we examined the various causes of babies' discomfort and parents' worries. Under the surface, our simple, safe solution is stuffed full of technical know-how.